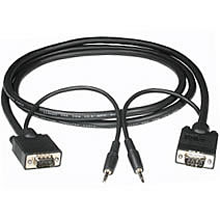 Datacomm Cables (Cables.com) has an extensive catalog of Video Cables, including RCA cables, Composite cables, Component Cables, HDMI, DVI, Coaxial, S-Video, BNC, VGA to 3 RCA component cables and many more. 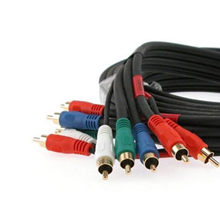 Video cables come into play when video and audio signals have to be carried from a source to an output device. We offer a broad array of cables in this category, each supporting different specifications and different specifications and compatibility standards. 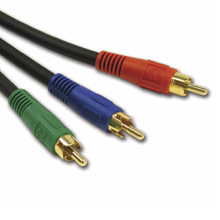 RCA Video Cables carry both audio and video signals and haves a trio of color-coded plugs. The yellow channel carries composite video signals, red carries the right audio channel and white/black carries the left stereo audio channel. These carry component signals for high performance video connections for digital sources but in another variant they can also carry composite signals. 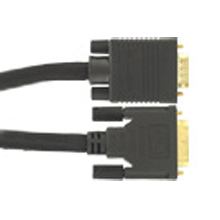 Our DVI video cables offer pure digital video with sharper picture and maximum color saturation for a variety of devices. 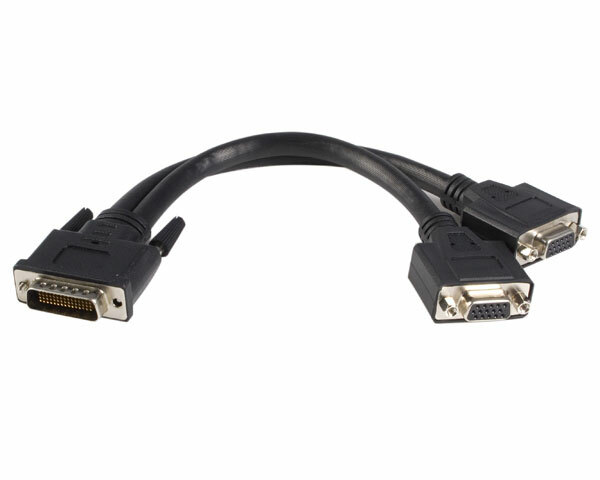 As an alternative, HDMI Audio-Video Cables are ideal for combining DVI and multi-channel audio into a single cable. 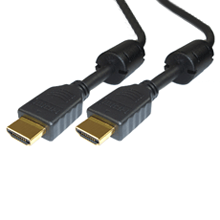 While DVI cables can only transmit video signals and require a separate cable for audio transmission, HDMI cables requires no such extension. 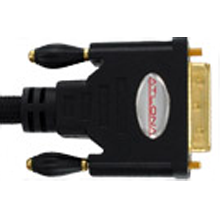 With high-definition video and surround sound system, these HDMI cables also maintain optimum data transfer. 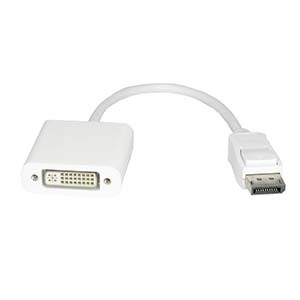 HDMI cables often come with backward compatibility with DVI; this will enable you to connect a new HDMI with an existing DVI-compatible device.